Hearts and cross shapes are staples among fun, jewelry fashions. 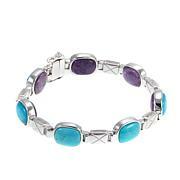 Now you can double your fashion fun with this pretty gemstone bracelet from Jay King. 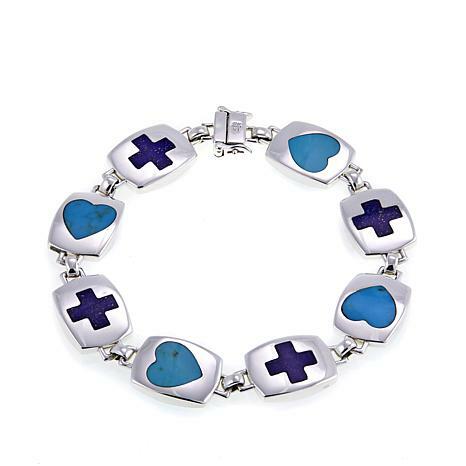 Inlaid turquoise and lapis, fashioned into hearts and crosses, make this bracelet a chic, style statement you can wear any time! 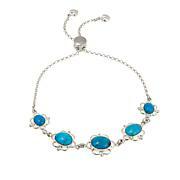 Moisture, skin oils and environmental factors can change the color of turquoise jewelry if left untreated. 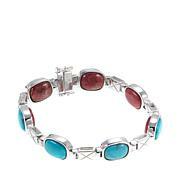 But stabilizing turquoise helps preserve the stone's normal color. Natural, mined turquoise nuggets are heated at a very low temperature for about a week, slowly drawing out moisture without damaging the texture. The stones are then placed into acrylic or polymer chemicals to replace water molecules. 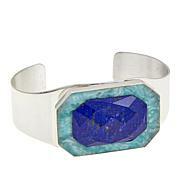 This stabilizes the stone and keeps its beauty and value intact.